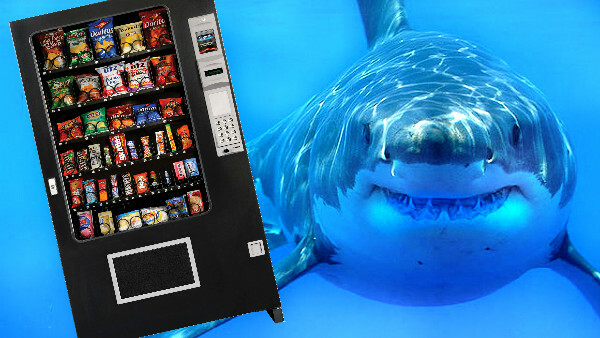 You know the phrase: "Sharks don't kill people, convenient snack dispensers do" (or something along those lines, I forget). People love pointing out things that are more likely to kill you than sharks. Whilst this does vital work in undoing the unfairly bad reputation of sharks - and should therefore be applauded - many of the comparisons drawn don't make an awful lot of sense given that the majority of us don't exactly spend a lot of time around sharks anyway. Which brings us on to vending machines. This fun little factoid is mostly drawn from a couple of studies that looked into a trend for vending machine-related deaths. One estimates that, between 1978 and 1995, there were around 37 fatalities. However, the number of fatal shark attacks in Australia and the United States over the same period was somewhere in the region of 66. The statistic most likely comes from just looking at the data from a single year, which is not exactly a reliable way to find patterns. This, taken into account with the fact that you will encounter far more vending machines than sharks in your life, and you can probably access your favourite snacks in relative safety.